It's World Prematurity Day! 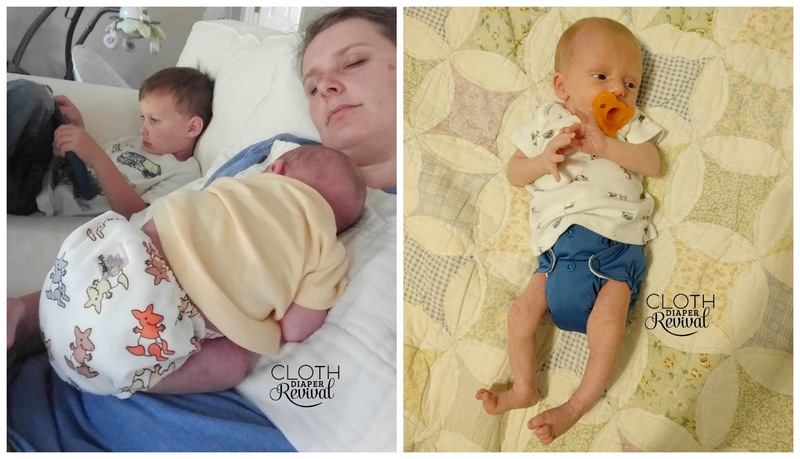 In honor of all the little tiny fighters out there, I'd thought I share some pictures of my own preemie and let you in on what cloth diapers fit our preemie. 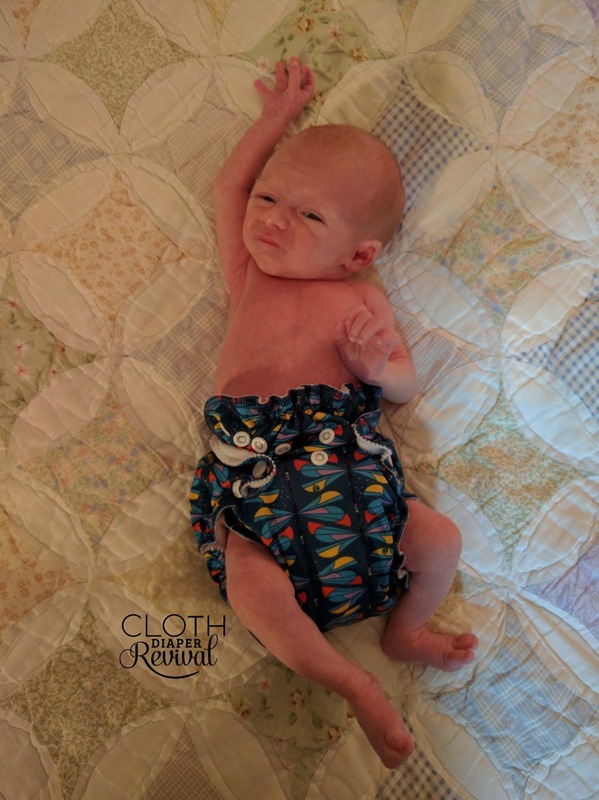 Believe it or not, there are a few newborn and one-size cloth diapers that fit preemies as well! Our son was born at 36 weeks, 4 days and was 4 lbs. 4 oz. at birth. He spent a week in the NICU and was discharged from the hospital at 7 days old and at 4 lb. 4.8 oz. From there he was transferred to the care of our adoption agency and placed with an interim foster family. At 17 days old he was placed in our arms! He was 5 lbs. 2 oz. when he came home and such a tiny little peanut! I cannot imagine how much tinier he must have been almost a whole pound smaller! If you haven't read our adoption story, you can find that here. I had been saving newborn cloth diapers for years, waiting for our next baby to arrive! But when we got the call that our son would be coming home (with only 24 hours notice!) I was not prepared! I hadn't imagined that we would have a preemie and that he would only be 5 lbs! So I pulled out what few newborn diapers I had that would fit. In the meantime, companies like Rumparooz, Thirsties, Softbums, and Sweet Pea Diapers were getting packages in the mail to me ASAP so that we would have enough diapers to get us through the tiny preemie stage. Rumparooz Lil Joeys - These have to be one of the most adorable newborn diapers out there! They are so tiny and were the best fit for my little 5 pounder! They created a perfect seal around his tiny little legs. When we started to outgrow the absorbency, we used newborn doublers from Thirsties and Geffen Baby to boost the absorbency. Samuel recently outgrew these at 4 months old and 10 lbs. I was so sad to pack them away! Buy them here! 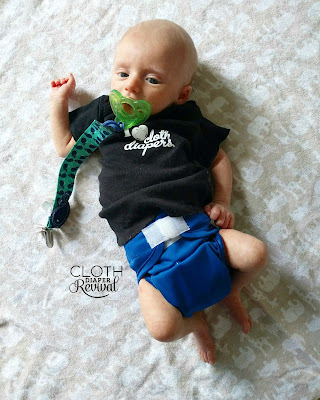 Thirsties Newborn - I have always been a fan of Thirsties and was so glad that these fit so tiny! They were a bit bulkier at 5 lbs, but they did fit around his skinny legs! 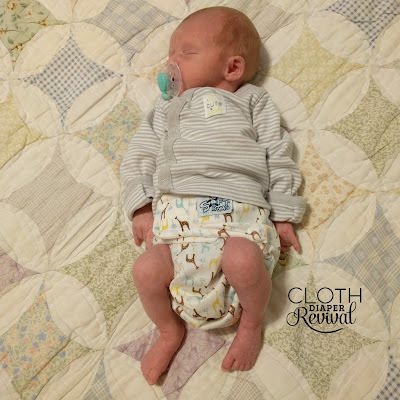 We were able to use both the regular newborn version and the natural newborn diaper. Samuel weighed in at 10 lbs. 11.5 oz at his 4 month check-up a week and a half ago and they still fit, but we're definitely coming to the end of our days with these. 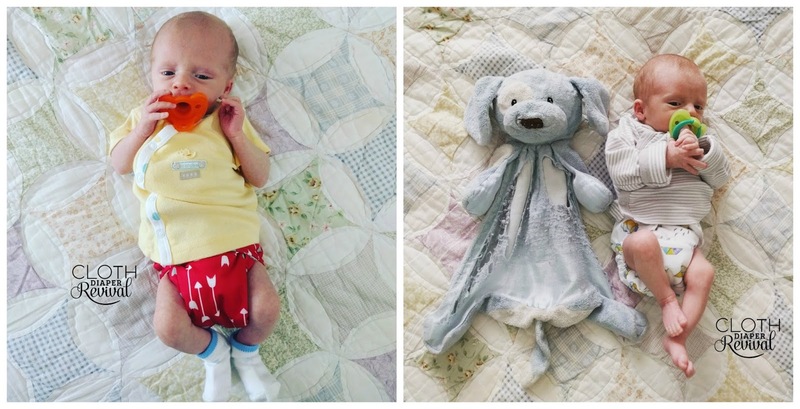 I've been using Thirsties and Geffen newborn doublers for a while now to boost the absorbency. Buy them here! SoftBums Echo - If you're looking for a one-size diaper that not only fits newborns, but preemies as well, SoftBums is your answer! We used these with our son when he was an average sized newborn until potty training and I was thrilled to be able to use them again on our preemie! The mini pods are the perfect insert! Buy them here! AppleCheeks size 1 - Okay, so this photo makes these look huge, but I promise you AppleCheeks size 1 still fits at 5 lbs! We have quite a long ways to go until we'll need to size up to size 2. These work great with prefolds and flats, but we love using them with AppleCheeks 2 ply bamboo inserts. Buy them here! Sweet Pea Newborn Covers - Thank goodness for Sweet Pea newborn covers! We had a lot of prefolds and flats, but this was the only cover I could get a good fit with at 5 lbs! They are still fitting today at 4 months, but definitely getting smaller. Buy them here! I'll be posting a more thorough in depth post on newborn diapers, coming soon! Did you have a cloth diapered preemie? What worked for you? This post is not sponsored. While many of the brands sent me free products, these were gifts to welcome our newest addition and they did not ask for anything in exchange. This post does contain affiliate links.